Take Christmas out of Halloween…PLEASE! Oy. I noticed at Target last night they were taking out a bunch of the Halloween stuff, to make more room for Christmas stuff. Don’t they understand all of us poorly prepared people who wait until the last minute need that stuff?! Jeez, just let us get through one holiday at a time. It was so jarring! I wonder how long they have had it up. Already?!!! I don’t like Macy’s very much to begin with, but this is very off-putting. So wrong. 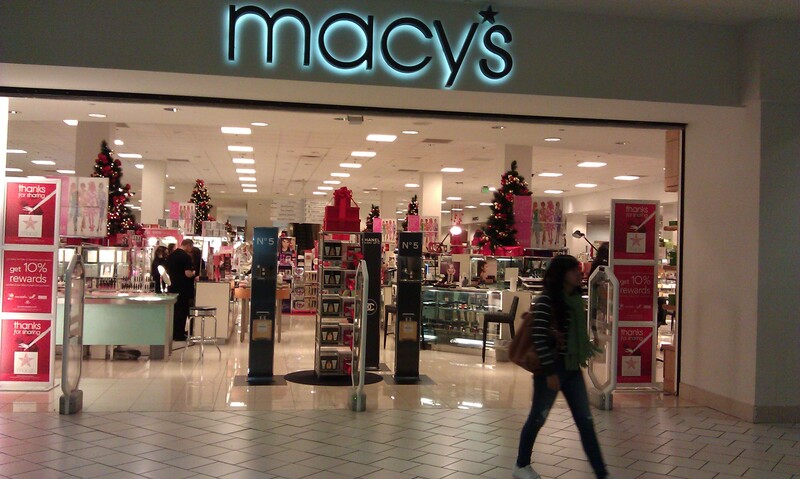 Macy’s is losing probably tens of dollars of my business LOL. Actually, now that you mention it, I noticed the Nordstroms in Santa Monica had some awfully wintery/New Years Eve-y displays in their windows. Really? I thought Nordstrom was the holdout!